Browse > Home / Music, Reviews / Watch Out, Jonas Bros! Grading Girl, I don’t know what to say. I’m sitting here just bawling my eyes out from your comments. I’m so touched, words leave me in my attempt to thank you. Casey is my middle son of 3 children and your comments make me just that more proud of all of them. Thank you, thank you from the bottom of my heart!!! It was my sincere pleasure, Tammy. You have a very gifted, talented son (as I’m sure your other sons are as well 🙂 ). It was very easy to write this review and I’m so glad Darryl introduced him to me! I’m positive this won’t be the last review written on Casey, by any means. Just read your review on Casey, then went to his myspace page. Darryl posted a comment there indication Casey did not play the Bluebird that night, so I am confused. Please enlighten me. Sure, Henry. You’ll notice I state that Darryl met Casey at the Bluebird but don’t indicate anything about Casey’s performance there. That is because Darryl met Casey in line and Casey received a “raincheck” to return to the Bluebird on a different night of his choice. I understand this is standard procedure at the Bluebird as it is one of the most famous open mic nights (if not THE most). Whoever will be there to see Casey live that night will be very lucky! I agree! 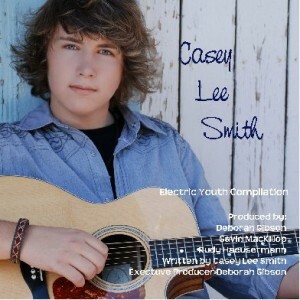 Watch out for Casey Lee Smith! He will be at the Colgate Country Showdown next week in Nashville. I am one of his biggest fans! He is an amazing young man and musician! I hope he wins!